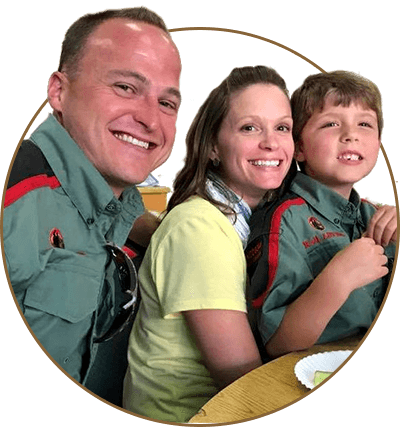 The 2019 Summer Adventure and Family Convention provides opportunities for Adults, Navigators/Adventurers, and Siblings. For the first time ever, Trail Life USA families will gather in one location for a week of family fun, adventure, and personal growth. Hear from national speakers, get training from experienced Trail Life leaders and engage with national experts in workshops geared toward families … all in the Christ-centered spirit of Trail Life USA! 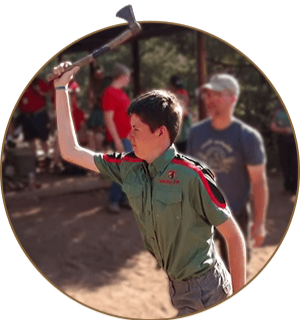 While the Navigators and Adventurers enjoy the camping and boy-focused Summer Adventure at the nearby Camp Tugalo site, families and younger Trailmen will stay in the comfortable hotel accommodations. In the mornings, families will wake and head to breakfast with the Trail Life Family. After breakfast, parents can drop off children at Kids Adventure then enjoy a time of inspirational worship and engaging speakers. After a break, adults will head to workshops where both Parents and TLUSA leaders will be challenged and inspired. A highlight of the week is sure to be the day of adventure at Camp Tugalo! 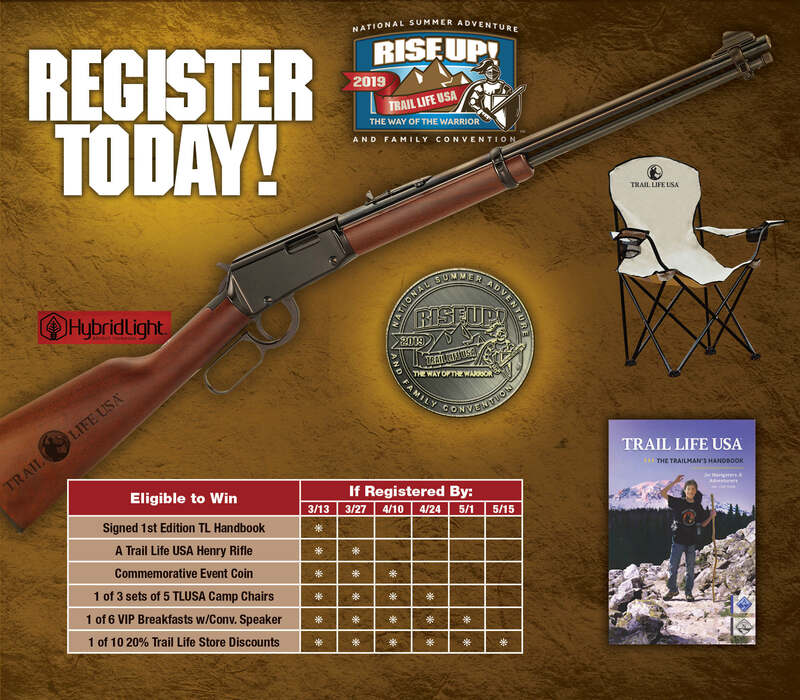 Choose from many exciting things to do in the northeast Georgia area, like a day trip to Tallulah Falls or the unique City of Helen, GA.
Register Today to take advantage of Early Bird Pricing and be entered to win many great prizes including a Trail Life USA Henry Rifle! *For Navigators, Adventurers, and Adult Male Registered Leaders. Our stellar team of Summer Adventure volunteers have done it again. They’ve arranged an activity schedule designed to Rise Up! and challenge the warrior in your son! A short hike from the Convention hotel area where the Convention meets, they camp and enjoy activities at Camp Tugalo. This camp area is restricted to Trailmen only and is on the shore of the same beautiful lake the Convention enjoys. Each day, Trailmen from Summer Adventure will join their families for dinner together. On Thursday, families will join the Trailmen at Camp Tugalo for Family Field Day! Not only have we arranged Summer Adventure for Navigators and Adventurers, we have created Kids Adventure for siblings to ensure everyone experiences an incredible Family Adventure. From 8:30 AM until Lunch and 7 - 8:30 PM on Monday through Friday, plans have been made to engage siblings with tremendous daily themed activities. On Wednesday evening, Woodlands Trailmen will have the opportunity to go camping at Camp Tugalo with their fathers. The will enjoy a day of fun and adventure together and return in time for lunch Thursday! Begin each day with an inspiring worship experience, and hear from top speakers assembled to provide instruction and encouragement on a range of topics. Breakout sessions will provide a great opportunity to connect with old friends or engage with new people from around the nation who are passionate about raising the next generation of godly leaders. 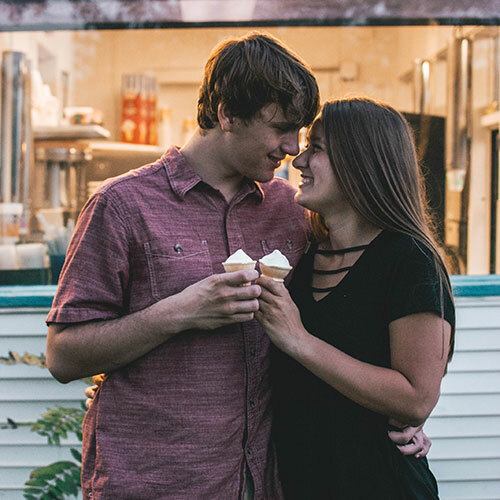 Stop by the coffee shop between sessions to chat, enjoy evenings around the campfire, take in a concert, or just sit and enjoy beautiful Lake Louise! The conference center rests on the shore of beautiful Lake Louise in the foothills of the Chattahoochee National Forest. It boasts lake access and an abundance of nature trails that will take your breath away. Visit the GBCC website to learn more about this unique location. There are lots of activities to do both on campus as well as plenty of entertainment while you travel. Interested in exploring the surrounding area? Click HERE for several great suggestions! The conference center is located about 90 minutes northeast of Atlanta and close to many of the cultural gems of the North Georgia and Carolina areas. Early Bird Pricing going on now! Beat the January 2019 price increase! There are lots of activities to do both on campus as well as plenty of entertainment while you travel. The conference center is located about 90 minutes northeast of Atlanta and close to many of the cultural gems of the North Georgia and Carolina areas. To be eligible for each drawing, conference registration must be completed by the date indicated on the chart above. 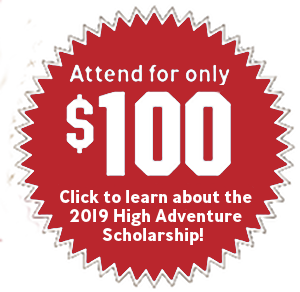 All prizes will be awarded during the 2019 Summer Adventure and Family Convention in Toccoa, GA. Winners will be notified by phone on the day of the drawing and results will be posted on social media.